Get outside and celebrate Earth Day! Learn about microplastics in the environment and help take action by picking-up litter in the Tasca Park trail system. Age Range: Family friendly. Youth ages 17 and under must be accompanied by a parent/guardian, or fill out the youth waiver (for ages 13-17 only). High school students can receive volunteer hours for participation (must bring tracking sheet for sign-off). What to wear: Long pants, closed-toed shoes and sun/rain protection. This event will take place rain or shine. Please bring a reusable water bottle. Parking: Parking and washrooms are available on site. This event is also a Volunteer Hub for King Township’s Clean-Up Challenge. 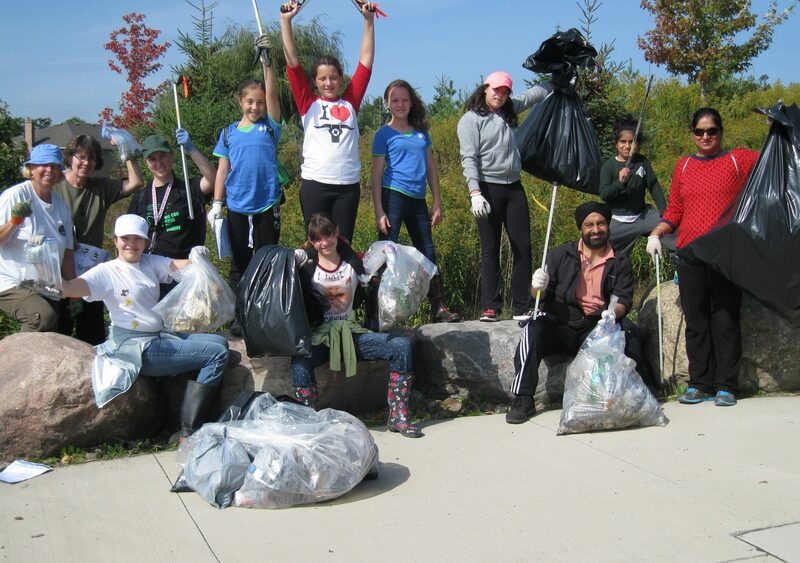 Register your group for a neighbourhood clean-up by emailing environmentalstewardship@king.ca and pick-up your litter clean-up supplies during this event! Participants will receive a free tree sapling. This event is offered in partnership with the Township of King.